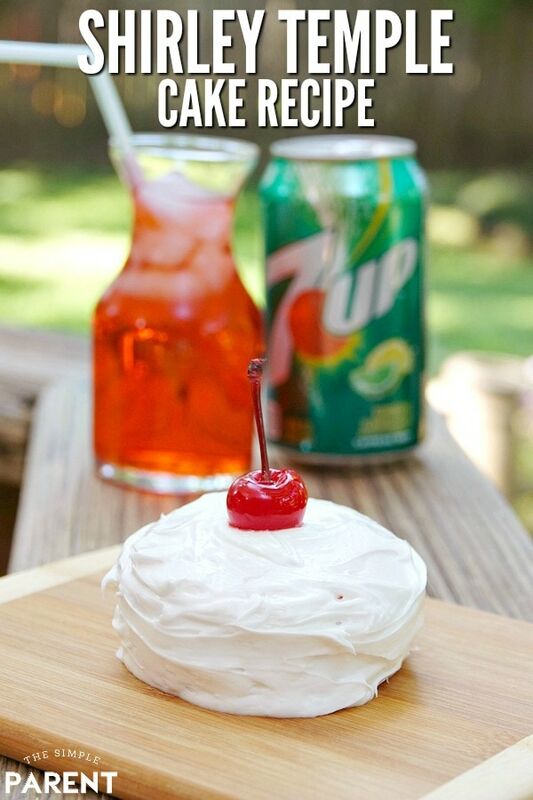 Make a Mini Shirley Temple Cake with Easy 7UP Cake Recipe! 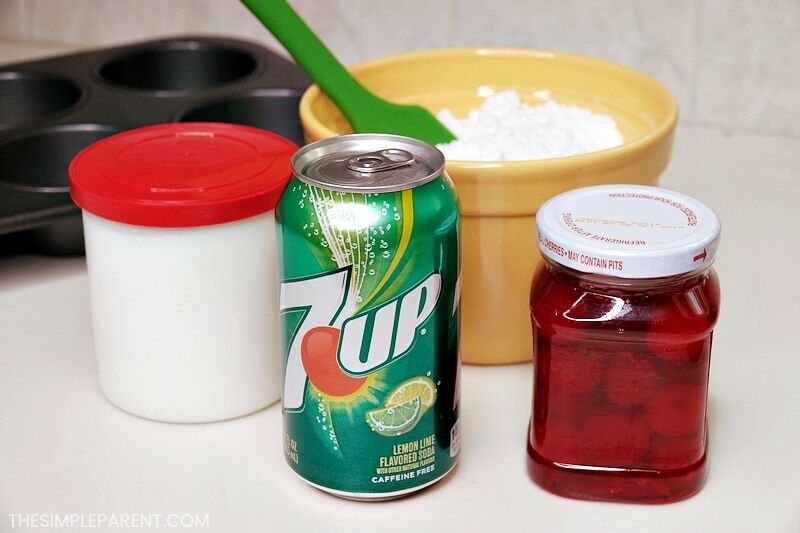 Home » recipes » Make a Mini Shirley Temple Cake with Easy 7UP Cake Recipe! 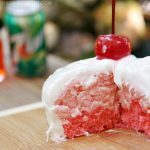 Our Shirley Temple Cake recipe is sponsored by Walmart as part of an Influencer Activation for Influence Central and all opinions expressed in my post are my own. I share my sweet tooth with my daughter and when it comes to summer, we spend so much time cooking in the kitchen together! If there’s one thing I love, it’s a good recipe using boxed cake mix! It’s so easy to make cookies or turn them into cakes of all kinds! Our Unicorn Cookies recipe is one of my favorite ways to use boxed cake mix. 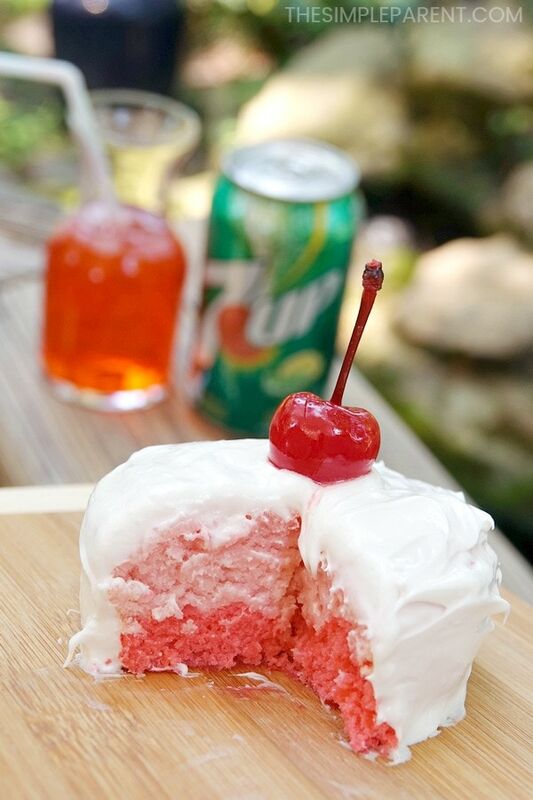 This easy Shirley Temple Cake recipe is a twist on a basic 7UP® Cake. I’ve made cakes using soda for years and the 7UP cake recipe is one of my favorites because it works best with yellow and white cake. Those are our favorite cake flavors so I guess it makes sense! Growing up, one of my favorite summer drinks was a Shirley Temple. Grambo used to make them for me in the summer as a special treat so I have a ton of childhood memories that involve Shirley Temple drinks on warm summer days. There’s just something about putting a little twist on her favorite cup of 7UP. Adding a cherry on top always makes things special! Before we could make a Shirley Temple Cake using cake mix, we had to hit Walmart to pick up everything we needed. It’s a convenient place to shop all summer long and helps us get everything we need to have fun all summer long! It’s so easy to Upgrade Your Summer at Walmart! 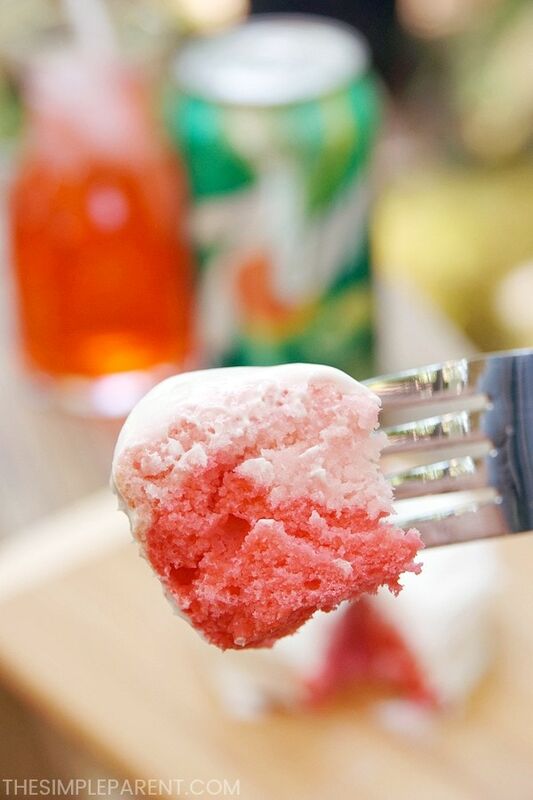 Check out the simple ingredients you need to make this recipe for Shirley Temple Cake. It’s a fun recipe to make for your family once summer break hits! Picking up a 7UP 12-Pack is a great way to be prepared for summer. 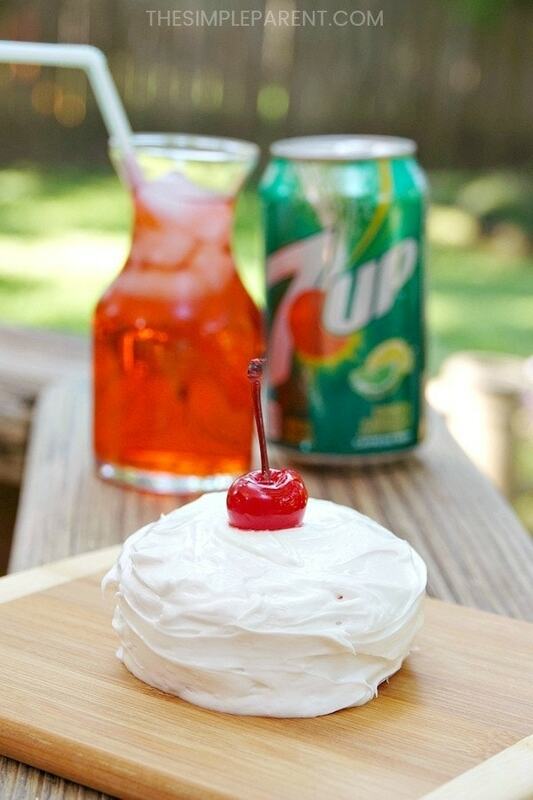 You can use a can to make a Cherry 7UP Cake and also make your own Shirley Temple drinks to enjoy together! 7UP is made with the highest-quality ingredients. Whatever the flavor, every can is crisp, clean, and refreshing. It’s the perfect pairing for all things summertime! 2. Empty cake mix into a bowl and add one can of 7UP. You might pour a bit out before adding it to the cake mix since you’ll be adding maraschino cherry juice later. 3. Mix with an electric beater for 2 minutes on medium to high power. 4. Scoop out about a cup of batter into a small bowl. 5. Add 2-3 Tablespoons of maraschino cherry juice and mix. 6. Add 2-3 drops of red food coloring if you’d like to create a darker layer of cake on the bottom of your Shirley Temple cakes. Mix thoroughly. 7. Add remaining maraschino cherry juice to your large bowl of cake batter and mix together. 8. Spray muffin pan with nonstick cooking spray. 9. Spoon dark red/pink cake batter into muffin cups until the bottom of each is covered. Then fill the rest of the cup up with the lighter colored batter. Fill each cup about 2/3 full. 11. Remove from oven when toothpick inserted comes out clean and allow to cool completely. 12. Frost with frosting and top with a cherry! We used the large muffin pan to create a personal size Shirley Temple cake for each of us. But you could easily make one large cake or even cupcakes. Follow the same steps and adjust your baking time! 1 box white cake mix if you can find a cherry or cherry-chip cake mix it takes this recipe to another level! 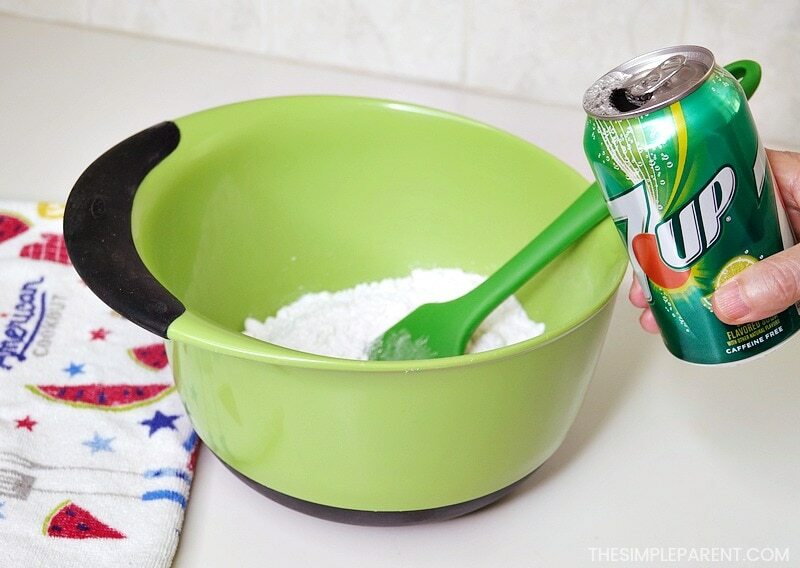 Empty cake mix into a bowl and add one can of 7UP. You might pour a bit out before adding it to the cake mix since you’ll be adding maraschino cherry juice later. Mix with an electric beater for 2 minutes on medium to high power. Scoop out about a cup of batter into a small bowl. 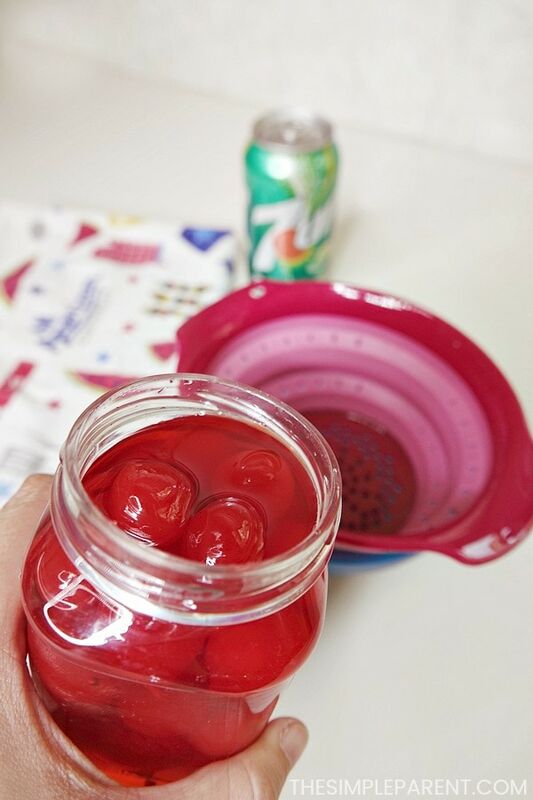 Add 2-3 Tablespoons of maraschino cherry juice and mix. Add 2-3 drops of red food coloring if you’d like to create a darker layer of cake on the bottom of your Shirley Temple cakes. Mix thoroughly. Add remaining maraschino cherry juice to your large bowl of cake batter and mix together. Spray muffin pan with nonstick cooking spray. 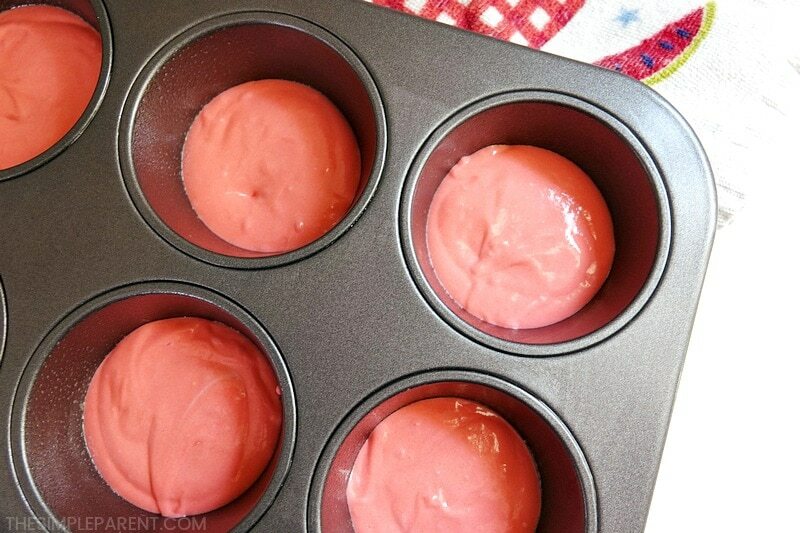 Spoon dark red/pink cake batter into muffin cups until the bottom of each is covered. Then fill the rest of the cup up with the lighter colored batter. Fill each cup about 2/3 full. Remove from oven when a toothpick inserted comes out clean and allow to cool completely. Frost with frosting and top with a cherry! Thanks to 7UP and other great brands, you have the chance to win some amazing prizes that are perfect for summer in the Upgrade Your Summer sweepstakes! Grab an Original 7UP with its iconic lemon-lime flavor and refresh yourself! Then visit the Upgrade Your Summer website to enter the Backyard Makeover promotion for your chance to win! « 9 Car Cleaning Hacks to Get It Clean & Keep it Clean!